Prorack have been developing some of the world's leading roof racks and roof rack accessories for more than 30 years. Founded in 1975 by a former Rolls Royce aircraft engineer, Prorack is one of the most innovative and progressive manufacturers of premium quality roof racks and accessories designed to improve your vehicle's load-carrying capacity. Growing from a small family business, Prorack is now one of the leading original equipment manufacturers and suppliers to retail markets in Australasia, the United States, and Europe. A Prorack roof box or roof rack makes for the perfect companion on any holiday or outdoor adventure. What Makes Prorack Roof Boxes and Racks So Good? With a commitment to developing market leading innovation and technology, Prorack are consistently setting the standard for automotive carrying systems. With an aviation heritage that is evident in every product they create, Prorack continue to work with Industrial Research Ltd. and the University of Canterbury in the United Kingdom to create load carrying products that decrease your vehicle’s aerodynamic drag, reduce cabin noise intrusion, and improve your vehicle’s fuel economy. Each and every Prorack Roof Box and Prorack Roof Rack is crafted in a concerted effort to improve your storage capacity without negatively impacting aesthetics or performance. Prorack understands that roof racks can increase your vehicle’s fuel consumption by as much as 15%, which is why they spend thousands of hours on research and development on every Prorack roof rack and prorack roof box, to ensure they improve your vehicle’s aerodynamic properties. Whether you’re looking to transport more cargo, kayaks & canoes, fishing gear, 4x4 accessories, bicycles, snowboard and ski equipment, or trade accessories, our range of Prorack roof racks and Prorack accessories has got you covered. Sparesbox understands that finding the right roof racks and roof rack accessories to fit your vehicle can be a challenge, which is why we’ve put together a comprehensive range of Prorack products to make finding roof racks and roof rack accessories that work with your vehicle simple. Our Prorack Roof Rack Buying Guide can help you find the perfect roof racks to suit your needs. Whether you’re taking the family on a weekend trip, heading to the mountains for some skiing or biking, or simply looking for a better way to carry more cargo, a Prorack roof box or Prorack roof rack can help you maximise your storage. And don’t forget that all Prorack roof boxes and racks are designed to complement the aesthetics and aerodynamics of your vehicle! 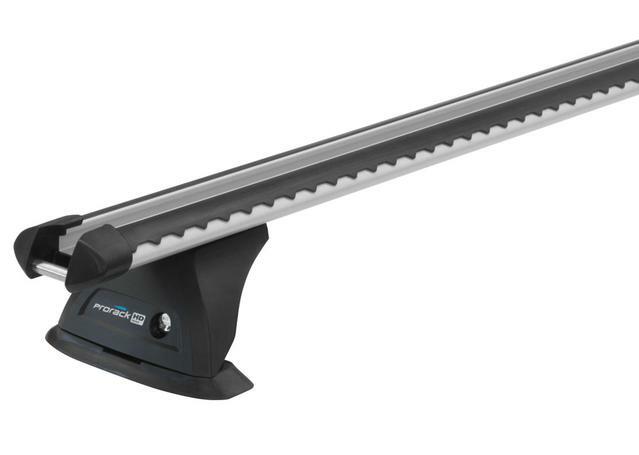 Our range of Prorack accessories are also compatible with a number of other roof rack brands including Rhino Roof Racks, Thule Roof Racks and Rola Roof Racks.